Lucknow: One day after the creation of the UP Metro Rail Corporation, Chief Secretary Rajive Kumar ordered officials to send the detailed revised reports of the Kanpur, Agra and Meerut subway rails project to the Center immediately after the necessary approvals. of the state government. 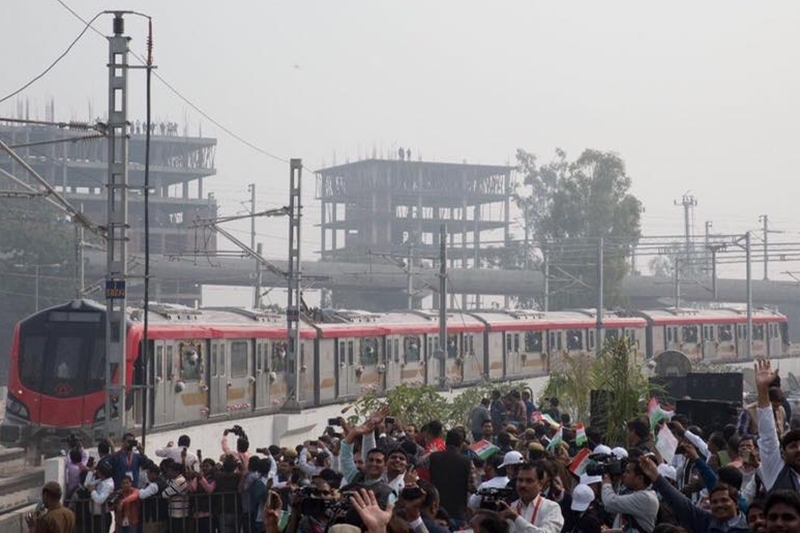 The secretary-in-chief also set July 1 as the deadline for the start of work on the proposed Delhi-Ghaziabad-Meerut Rapid Rail Transit System (RRTS). The new 2017 Metro Rail Policy makes alternative analysis of other modes of mass transit systems such as BRTS (Bus Rapid Transit System), Light Rail Transit, etc. mandatory. It establishes that the lowest cost mass transit mode should be selected for public transport in terms of demand, capacity, cost and ease of implementation. The new guidelines open a large window for private investments in a wide range of metro operations that make the PPP component mandatory for central assistance for new metro projects. Private investment and other innovative ways of financing metro projects have become mandatory to meet the high demand for resources for capital-intensive and large-capacity metro projects. According to sources, historic cities (including Gorakhpur) may now have to opt for RRTS instead of metro. The creation of the Metropolitan Urban Transport Authority (UMTA) has also become mandatory under the new metropolitan policy to prepare Comprehensive Mobility Plans for cities in order to ensure a complete multimodal integration for optimal use of capabilities. The head of the secretariat asked the officials to complete the necessary formalities to invite the tender for the Delhi-Ghaziabad-Meerut rapid transit system project and to set the 2024 deadline for RRTS that would be implemented as a joint venture by National Capital Region Transport Corporation (NCRTC) and four state governments, namely Delhi, Uttar Pradesh, Haryana and Rajasthan.